You have to admire Singapore. The world's most efficient city-state has planned itself into modernity. Whenever I'm stuck in a confusing airport, I wish they would outsource their operations to Singapore. 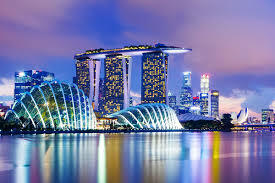 But Singapore has also shown us the limits of planning. 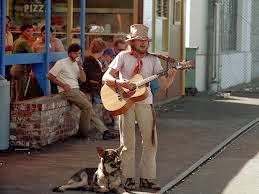 In the 1990s, I was in the mall attached to Singapore's Westin hotel when I saw a clean-looking street musician playing a Peter, Paul, and Mary song about "Puff the Magic Dragon." That night I saw a similar musician strumming away on another milktoast tune in the lobby of the Singapore Shangri-La hotel. No way this happened by chance. Sure enough, a colleague later explained to me that the musicians were part of a government campaign to increase creativity. You just smirked at the idea of planned spontaneity. But having spent a lot of time in Berkeley, I can understand Singapore's dilemma. On average, street musicians sound bad, smell bad, and generally are worth avoiding. So I can see why Singapore would want to manage their street musicians; let's have some of this spontaneous creativity, but without the riff-raff. Here is the problem: Creativity is not about eliminating error. Creativity's payoff is the occasional burst of genius - and you don't get that by eliminating error. 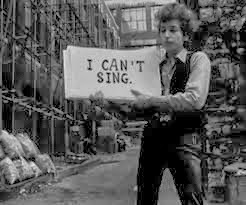 To the contrary, once you start telling the musicians how to look, sound, and act, you'll never get the next Bob Dylan. Systems that sometimes give us the rare genius also give us a lot of foolishness along the way. Creative systems should be judged, but not by their "average output." Instead, you should judge creative systems by their variance - their ability to produce extreme outcomes whether good or bad. As Professor James March explains, high-variance systems are the most creative. They produce lots of foolishness and, every now and then, a moment of brilliance. If you plan away the foolishness you might improve the "average" result. But planning away foolishness will also reduce variance - which means you eliminate any chance of genius. In short, foolishness is the price of genius. You probably accept this idea when it comes to artistic creativity. But what about in business? Well-meaning business leaders plan away variance all the time. Sometimes that makes sense, of course. I don't want a lot of creative experimentation when we're operating an airport. But when leaders want innovation, they typically put systems in place that reduce variance and raise the average. They ask for "intelligent" innovation, for creativity without foolishness. Don't look to leaders like this for the next breakthrough innovation. They are unwilling to pay the price of genius. This idea comes from James March’s paper on exploration and exploitation.